Mimosas and Makeup with Ricardo Costales in My Home Town! When celebrity make up artist Ricardo Costales comes to your town, you find time to get there for the latest tips in skin care and make up. In my town in middle Georgia we don’t get opportunities like this often so I knew I had to make the best of it. 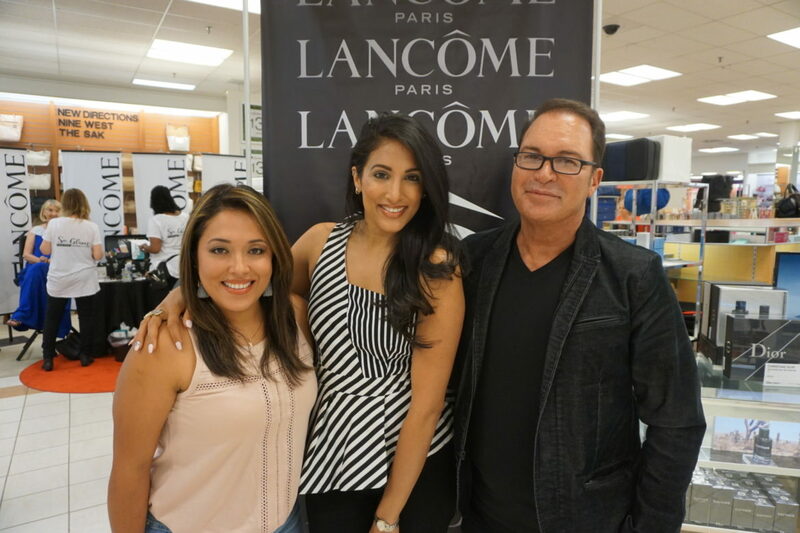 I rounded up my friends for this annual event at our Lancome counter located in our local Belk store and started off our day with mimosas and makeovers! There were nine make up artists that had come in from Atlanta to glam us all up! The team was as glamorous as the event space that they had carved out from the store. I am already a Lancome customer, but there were some new products that I wanted to share with you that I scooped up. If you have not tried micellar water as a makeup remover yet, you must! This water based product has the oils in it separated at the molecular level to attracts makeup and dirt to get it off your face. Its incredible! With very little scrubbing Bi Facil gets the job done – even my favorite waterproof mascara! Lastly, speaking of foundations, if you use a liquid foundation consider using this foundation brush when you can’t grab for the beauty blender(or don’t have water to make it damp). This brush is so soft and spreads beautifully to get you the coverage you need. Thank you so much to all my friends who came out to attend this event and a major shout out to the team at Belk for hosting events like this in communities all over the country!